Forecasters expect at least one California river to hit flood stage later this week as a heat wave melts record snowpack in the Sierra Nevada. Melting of this year's massive Sierra Nevada snowpack will cause California rivers to surge and possibly overflow their banks well into the summer this year, officials said Monday. 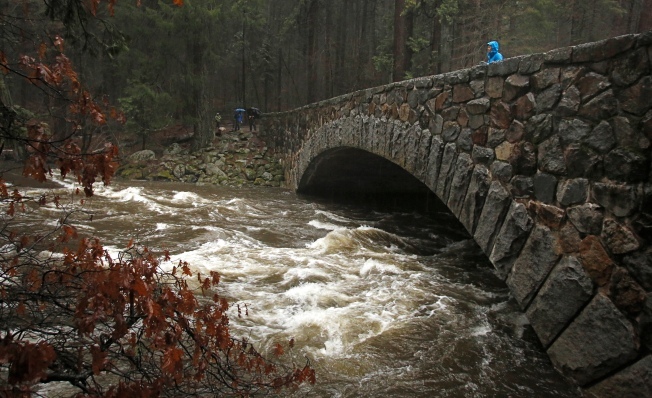 Among the first to be affected will be the Merced River running through Yosemite National Park, which is expected to hit flood stage by mid-week with waters rising a foot above its banks, forecasters warned. Large amounts of water are being released from reservoirs downstream from the Sierra Nevada to lower their levels in anticipation of the heavier-than-normal melt off of snowpack, which is nearly double its normal size. Reservoirs on tributaries of the San Joaquin River have been lowered and authorities will continue lowering their levels through June to avoid the possibility of using spillways for emergency water releases, reservoir managers said. People who flock to the Tuolumne River for recreation should be prepared for rapid and dangerous river water, said Calvin Curtis of the Turlock Irrigation District. "The water is going to be fast. It's going to be colder than it has been," he said. The heavy snowpack today blanketing the 400-mile (644-kilometer) long Sierra Nevada stands in contrast to two years ago when barely any measureable snow remained at this time of year amid California's drought, state water managers said. While the heavy snow and its high water content will help prevent water shortages that California residents endured over the last several years, the tough winter was cruel to mountain wildlife — killing off bighorn sheep and lengthening hibernation periods for bears. 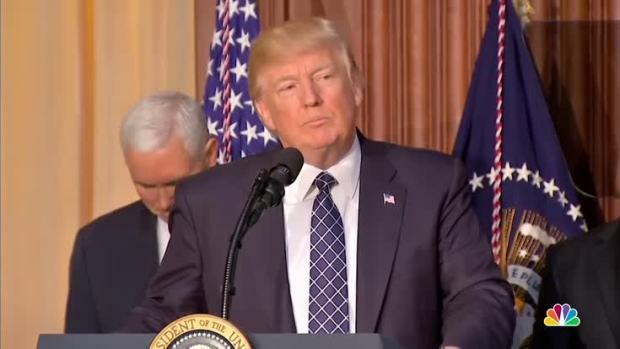 President Donald Trump signed an executive order on Tuesday aimed at overturning environmental regulations and reviving the coal industry. Trump also railed against a so-called "War on Coal" as well as general federal regulations in his speech prior to signing the order, promising to strike down regulations in every industry by the "thousands." During California's drought, the iconic Sierra Nevada bighorn sheep moved from lower elevations higher up into the mountains in search of food, said Jason Holley, a wildlife biologist for the California Department of Fish and Wildlife. But the heavy snow may have killed 100 of the 600 or so bighorn, he said. "They've triggered some avalanches," Holley said. 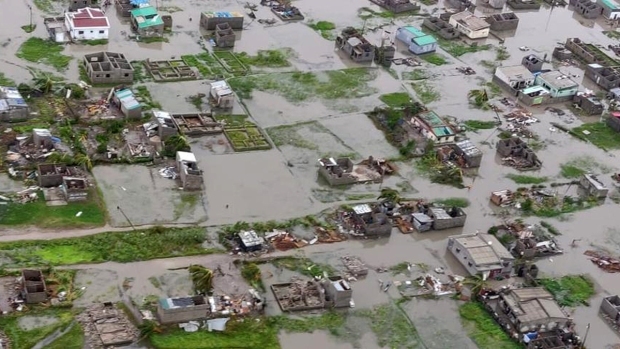 "Others got caught in areas with no natural food." The snowdrifts have also kept many bears hibernating in the remote wilderness inside their dens one month longer than normal because food is still scarce, Holley said. Hikers heading to the mountains are sure to find damaged roads leading to prized campgrounds that may not be repaired until next year, said Stanislaus National Forest officials. In Yosemite National Park, rangers warned that visitors will need to be careful when they are near swift-flowing rivers and waterfalls with much higher water flows than normal. "Not only is it technically difficult, it is pretty uncomfortable," Phillips said. "If you've never done it before, go with somebody who has."